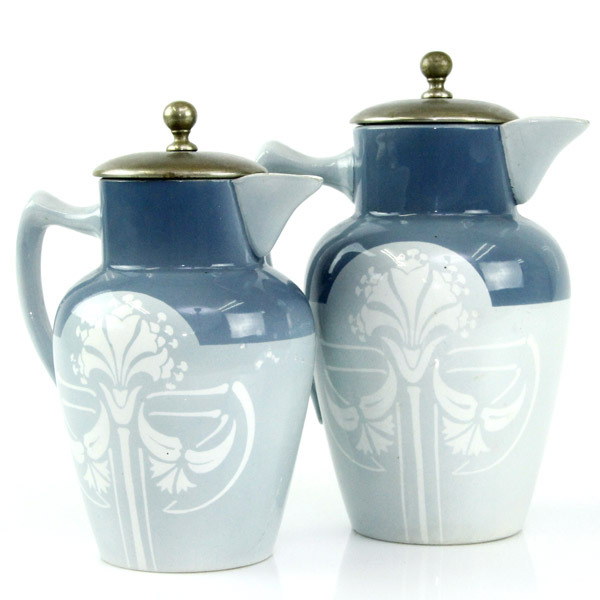 Pasarel - Art Nouveau Graduated Pair of Porcelain Milk Jugs, E. Bourgeois, Paris, Ca 1900. Art Nouveau Graduated Pair of Porcelain Milk Jugs, E. Bourgeois, Paris, Ca 1900. 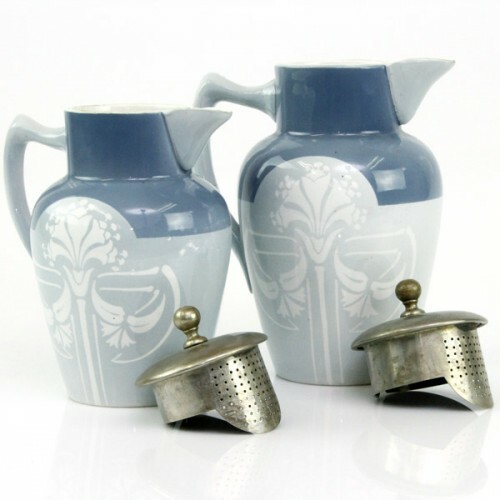 Of baluster form with stylized handles and beak spouts. 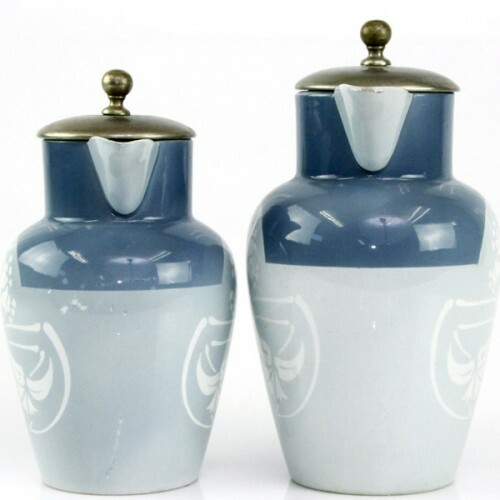 Light and dark blue color with white floral and foliate decoration. Topped with detachable metal covers with strainers (one marks alpacca). 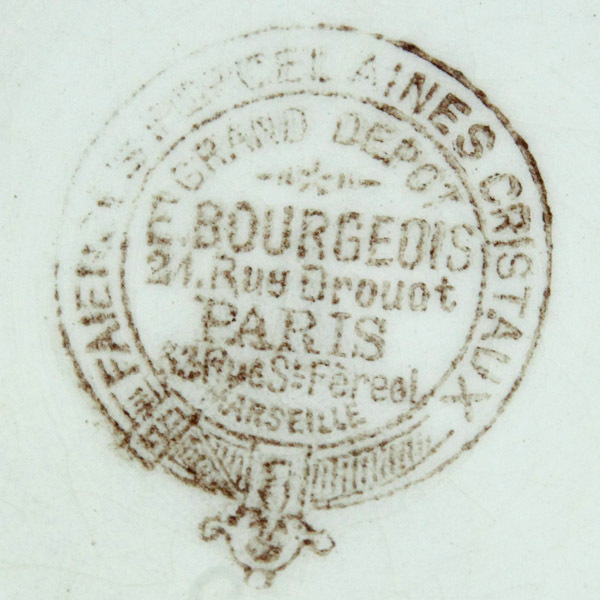 Under-glazed stamp – E. Bourgeois, Paris. Very good, minor crack to one handle. 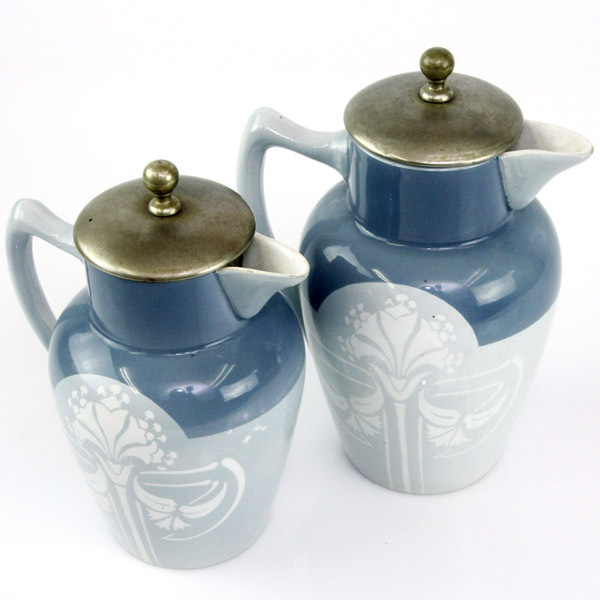 Large jug: 19cm / 7.48in. 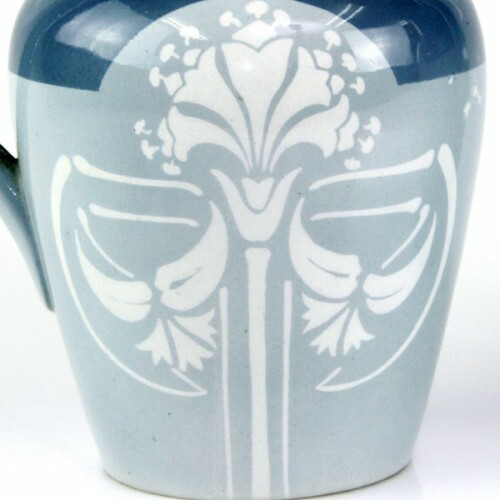 Small jug: 17cm / 6.7in.